Just one year ago, Theresa Stevens and her family of four were living a “normal” life in Marin County, California. 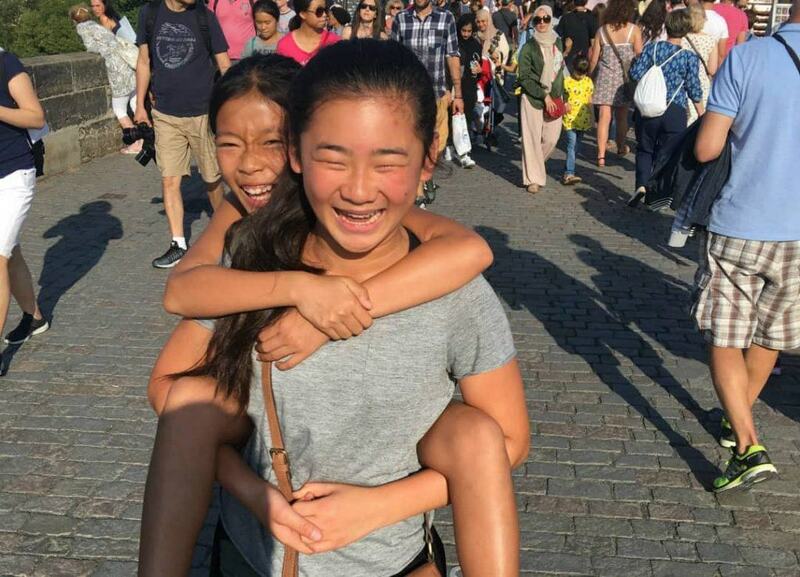 Their two pre-teen daughters were in middle school, they owned a home in a desirable city half-hour north from San Francisco, and were working at full-time jobs. But they craved adventure and a change, so decided to give everything up for a year of world travel. Theresa’s husband quit his job, she put hers on hold, and they rented out their home to another family. 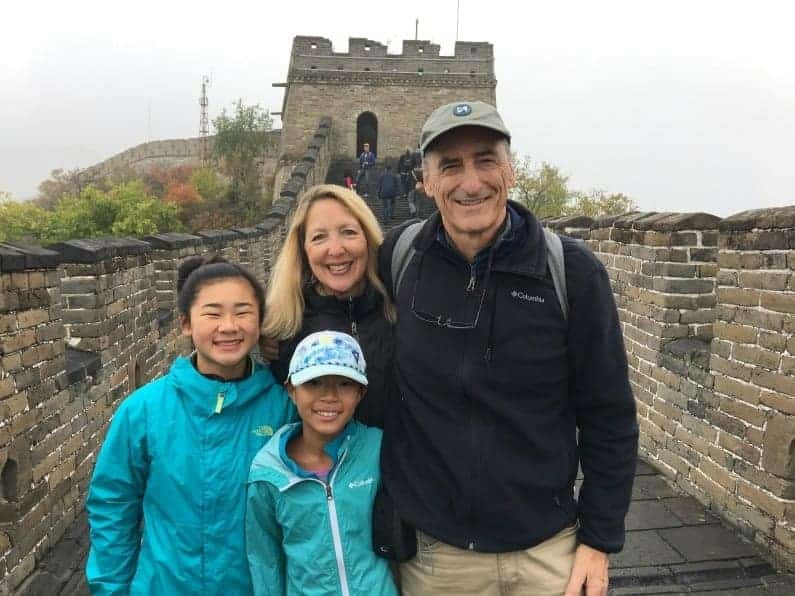 Now, six months into their family travel adventure, they’ve visited 16 countries via plane, train, automobile and boat. 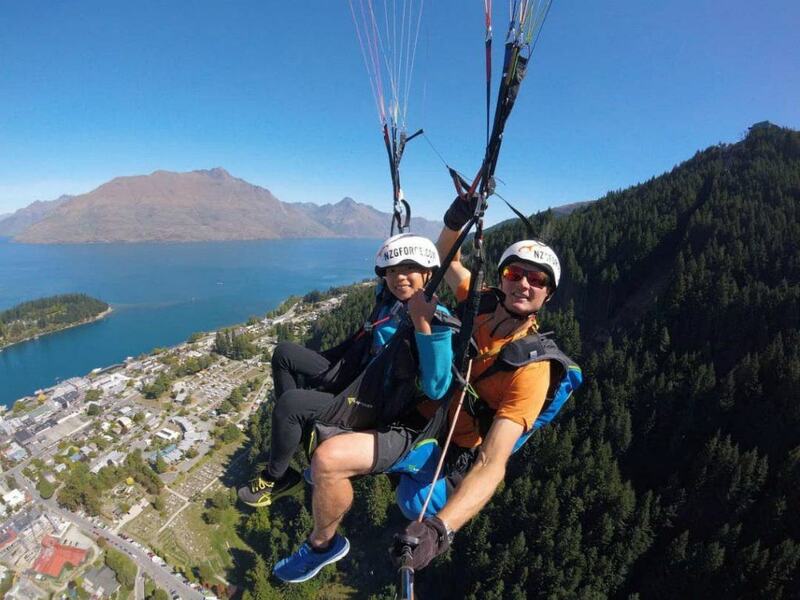 They dabbled in Europe for three months, did a whirlwind trip through China for a few weeks, and are now in Australia. Next up is New Zealand and Latin America. I caught up with Theresa to talk about the joys and challenges of planning such a year-long trip around the world. What advice do you have for other parents considering world travel? First, I’d say start talking to your kids about it long before you plan to do it, if possible. We’ve been talking about “The Trip” since they were babies, even if we didn’t know exactly if and when we’d do it. So they were as mentally prepared as a kid can be. I’d say to go when they are about ages 9-12 – that’s the magic window – old enough to remember the trip but still young enough to want to be around you all of the time. By the same token, families have done this with kids of all ages and had a great time, no matter what. There’s no bad time to go, though most try to do it before high school. There’s also never a “good” time – so just go for it! I suggest that people design the world travel itinerary for your kids, not just any kids and not just for yourself. Get the kids involved, develop a loose vision and plan for where you’ll go and when, but keep it flexible where possible and book commitments as you go, not in advance. Our planned itinerary and actual itinerary look completely different. We’ve spontaneously sped things up, slowed things down, skipped entire countries, changed the sequence, etc. based on how we and the kids were feeling. And we’ve learned the hard way to build in a day of nothing for every two days of sightseeing or action. Otherwise, it’s just too much constant change and stimulation – at least for our kids. What did you do about the girls’ education while on this trip around the world? We half-heartedly homeschool in the formal sense, using workbooks from their schools as a framework. We’ve just started a bit of tutoring while in Sydney to supplement that. But mostly we “roadschool” – we are constantly educating them informally and through experiences and discussion. We’ve essentially done extensive, multi-disciplinary units on the Roman Empire, European history and art, architecture, Chinese history and culture, panda bears, geography, science, the Great Barrier Reef, marine biology, and animal husbandry, to name some. They’ve also attended holiday camps in Sydney on topics like theater, veterinary medicine, and art. Coming up soon are units on New Zealand geography, the Galapagos, penguins, sea lions, glaciers, the Amazon, Patagonia, ancient South American civilizations, Spanish immersion language lessons, and more. And of course, they also learn a bit about each country we visit. It’s also great to let each kid identify a role or special project for the trip. Our oldest chose to produce summary videos of each location we visit, which she posts to a YouTube channel she just started, WorldTour_1718. It’s been an education in itself. Our youngest is focused on animals in each location we visit and doing associated research. I know of another family where the oldest managed the budget and the youngest tried to play soccer in each location they visited. So there are endless possibilities. Homeschooling has been challenging for us. Every school and educator we conferred with before leaving said that the girls would get all the education they needed through osmosis on the road – and I think that’s right. Nonetheless, we feel compelled to do it, especially for math and writing, because the kids worry they’ll be behind when they get back if we don’t. In many ways, it’s a distraction. And we’re not that good at it. Then take all of the arguing, nagging and cajoling that goes on at home just over homework and multiply it times 20. It’s a buzz kill, for sure. If we could just trust that they’ll be fine, it would remove a lot of the stress. We half trust – we’re not maniacal about it. Our hats are off to those who enjoy homeschooling, but it’s definitely not our thing. 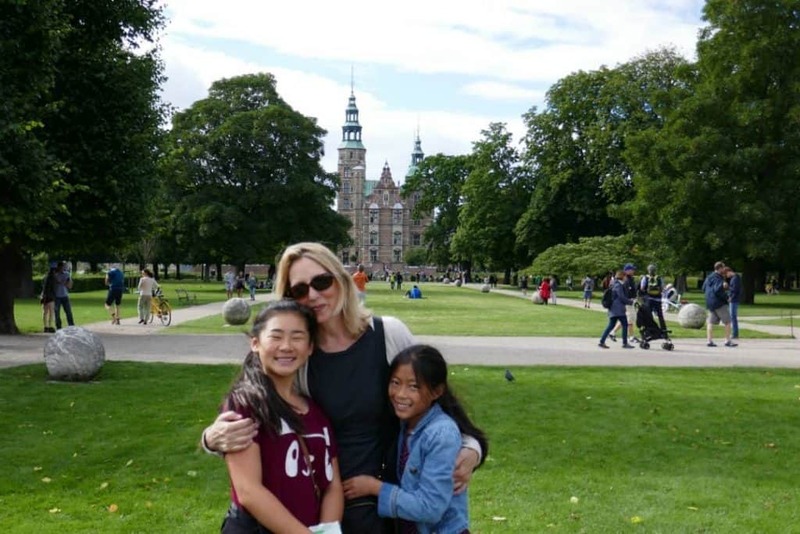 So, what are the tough things about world travel with kids? I’d say there have really been two main areas for us, and they jointly account for probably 90% of any angst we experience. Ironically, they have less to do with the traveling the world itself and more to do with the same types of things you run into at home, only on steroids, since we’re out of our element. Our girls are 11 and 13 – ages when friends and peer interaction are all-important. And yet, we’ve found it much more difficult to connect with other families with kids these ages than we expected while doing world travel. Compounding the issue is that we’ve mostly stayed in apartments rather than hotels, where you’re more likely to run into other people. So for our kids, the lack of being around other kids as much as they’d like at these ages has been really challenging and very lonely at times, especially for our older daughter. This “tweenage” time is also difficult because they’re too old for little kids but still a little young to be comfortable around older teens. So there is a very narrow age range of kids to seek out. It would have been perfect had we gone a year earlier – there is a big difference between being away from friends at age twelve vs. thirteen. And at thirteen, you don’t want to be around your parents all of the time – you want to be mostly out asserting your independence. So that’s been hard for our oldest. What are some of your craziest mishaps while traveling the world? We had made plans to volunteer at a panda bear sanctuary in China, which was a bucket list item. But we found out with little notice that we had to have doctors fill out and sign health forms for us – over a weekend, no less. So we traipsed all over Beijing from hospital to hospital on a Saturday looking for a doctor who would help us. It was ridiculous. Finally, we were able to get a doctor from home to help us. That was a close call. 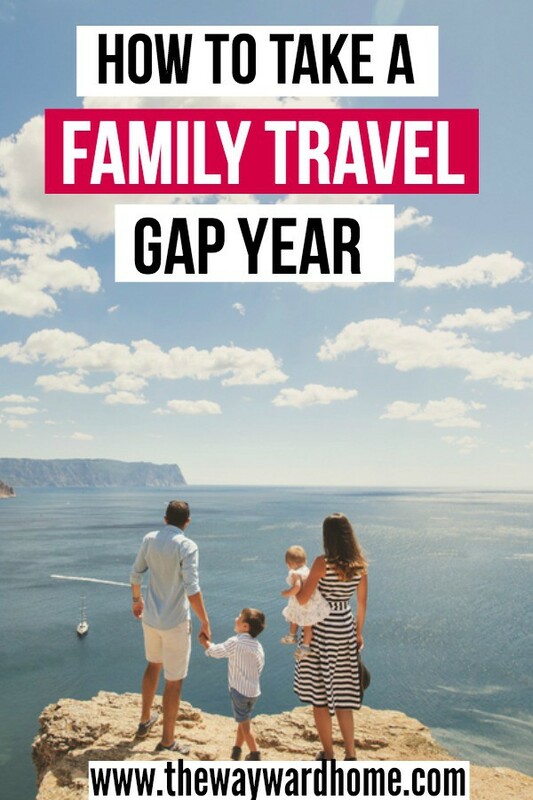 How do you think world travel has changed your family? It has certainly detached us from “stuff” and permanence of any kind. All of our possessions for the trip around the world fit into one suitcase and daypack per person, two of which are U.S. carry-on size. And we’ve never once felt deprived. It’s been plenty. We did a big purge of our possessions before leaving, but now I’m ready to lighten the load even more when we get back. Likewise, we’ve moved around very frequently, so we’ve all become incredibly adaptable to new settings and living spaces. World travel detaches you from your ego. We have been invisible nobodies everywhere we’ve been. And between social media, coming from a competitive area of the country, and working in industries where there is pressure to build an image and reputation, it’s been rather liberating. It’s been much easier than we expected to adjust to day-to-day life in each location when traveling the world, so I’m sure this is making us all extremely flexible and adaptable. The kids don’t even blink anymore when we arrive in a new country and have to start figuring things out all over again. World travel shows you how much we all have in common as human beings. We’ve met people who could not be from more different environments than us and yet we are all the same in so many ways. It’s been enlightening for our kids to see that firsthand. Another change is that our kids are now keen to learn foreign languages, which was absolutely not the case before the trip. Most of all it’s been a great sampler platter of what the world has to offer. There are so many places we won’t be able to visit this year, so I think we’re all going to come back with a list of additional places we want to see and places we want to go back to again. What is the most special thing about this trip around the world? But it goes deeper than that. We are older parents, and I keep telling my kids that one day as adults they’ll look back and be so glad we had this time together. And of course, as parents, we are cherishing this concentrated time with our kids before they permanently ditch us for their friends and lives outside of home. Together we’ve navigated unfamiliar subway systems, run to catch flights, shoveled panda poo at a sanctuary, watched a ballet in pouring rain, pointed to jaw-dropping coral formations underwater, moaned in ecstasy over the most amazing eggplant we’ve ever tasted while dining al fresco in front of the Pantheon in Rome, and gotten lost more times than we can count. We’ve struggled through language barriers. We’ve done plenty of laughing and crying together. We’ve had our share of bickering. 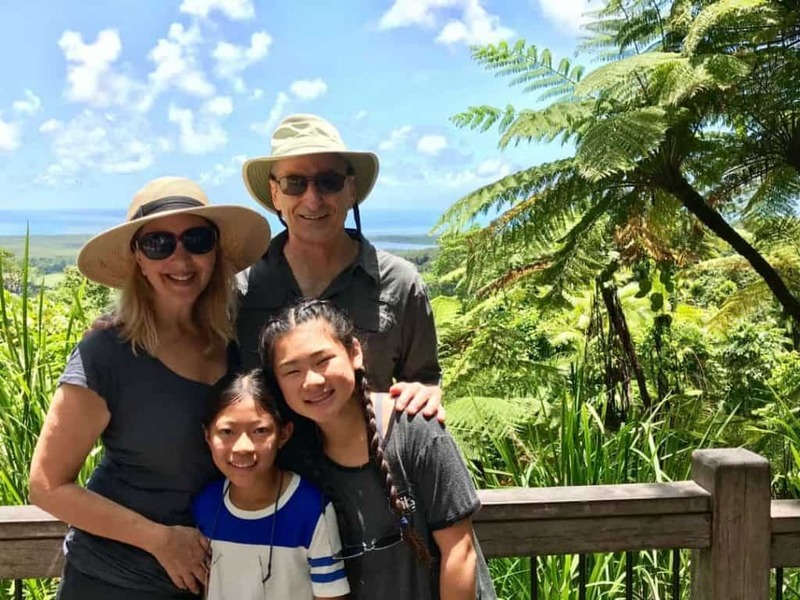 And they have watched their parents be frazzled, befuddled and frustrated by the inherent challenges of global travel but are hopefully also learning how to get through life by watching us persevere. They’re learning that you don’t have to have all the answers before diving on in. You can muddle through and figure it out as you go. If you had the chance, would you do family travel like this again? Absolutely!! If our oldest weren’t going into high school in the fall, we’d keep traveling for another year. We know of one family who left for a year-long trip, and that was four years ago! My family isn’t on board, but I could certainly live the rest of my life like this. I think every family should take at least a year or two to go do this. And it’s more possible now than ever, given the way people can work remotely. Or there is always work people can pick up along the way in local areas. 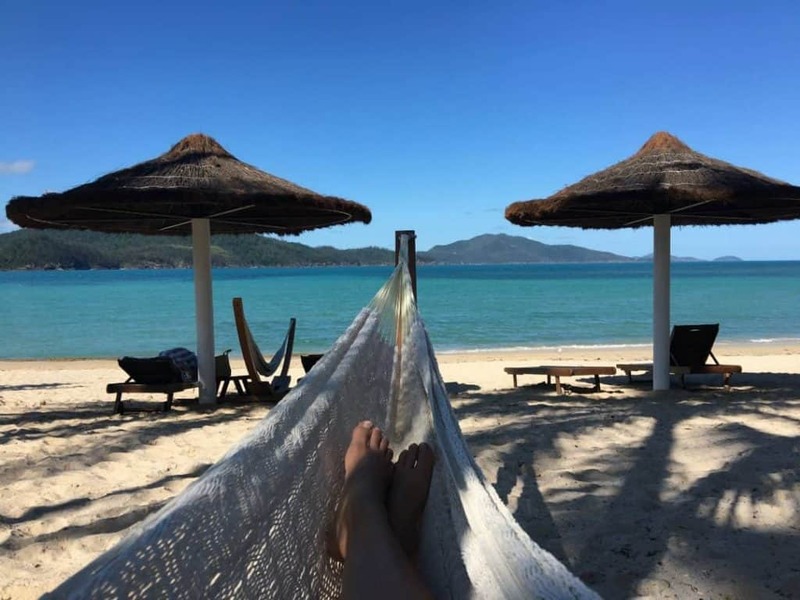 You can follow along on the family adventure on their blog, Epic RTW: Our Family’s Year Round-The-World.